The disastrous Louisiana floods not only took lives and destroyed homes and businesses, they also damaged an estimated 100,000 insured cars and trucks, many of which may find their way into the used-car market. It gets worse. The National Insurance Crime Bureau says the total number of damaged cars may be twice that high, since owners often drop coverage on aging vehicles. While cars are often damaged beyond repair by flooding, that doesn't stop unscrupulous resellers from trying to pass them off as cream puffs. 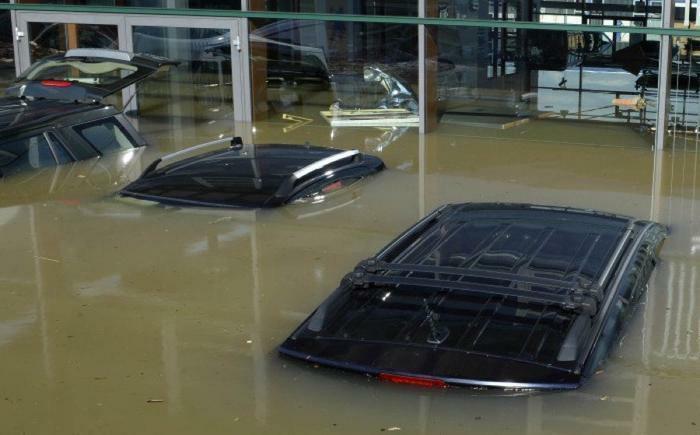 Carfax estimates that as many as half of flood-damaged cars eventually return to the marketplace. Flood-prone Louisiana enacted strong anti-fraud measures after Hurricane Katrina in 2005. When an insured vehicle is found to be flood-damaged, it is towed to an auction lot and given a new title that indicates it has been water-damaged. If the damage is severe, the inspector may issue a Certificate of Destruction, which requires that car to be crushed or sold for parts. The VIN number is entered into databases that consumers can check for damage. Those measures have helped stop the flow of flood-damaged cars out of Louisaina, assuming they were insured. But uninsured cars are a different matter. The insurance group says they are often cleaned up to hide the damage and sold to unsuspecting consumers. “It’s buyer beware,” said Louisiana Commissioner of Motor Vehicles Karen St. Germaine. Look for water stains, mildew, sand, or silt under the carpet, floor mats, and dashboard, and in the wheel well where the spare is stored. Look for fogging inside the headlights and taillights. Get a vehicle history report. Check a trusted database service, like Carfax.com. You can also check NICB’s free VINCheck database. There are also reliable services that charge a small fee for history reports. Have a trusted mechanic inspect the car’s mechanical and electrical components, as well as systems that contain fluids, for water contamination. It's not just cars that were destroyed by flooding. As many as 80 car dealerships were damaged or destroyed, with many losing their entire inventory of cars. Besides the economic costs and loss of jobs, the disruptions at dealerships makes it harder for Louisiana consumers to replace their cars.